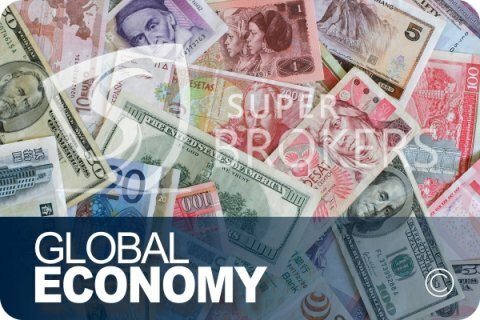 The World Bank's former chief economist wants to replace the US dollar with a single global super-currency, saying it will create a more stable global financial system. "The dominance of the greenback is the root cause of global financial and economic crises," Justin Yifu Lin told Bruegel, a Brussels-based policy-research think tank. "The solution to this is to replace the national currency with a global currency." Lin, now a professor at Peking University and a leading adviser to the Chinese government, said expanding the basket of major reserve currencies — the dollar, the euro, the Japanese yen and pound sterling — will not address the consequences of a financial crisis. Internationalizing the Chinese currency is not the answer, either, he said. Lin urged the international community, especially the US and European Union, to play a leading role in currency and infrastructure initiatives. To boost the global economy, he proposed the launch of a "global infrastructure initiative" to remove development bottlenecks in poor and developing countries, a measure he said would also offer opportunities for advanced economies. "China can only play a supporting role in realizing the plans," Lin said. "The urgent thing is for the US and Europe to endorse these plans. And I think the G20 is an ideal platform to discuss the ideas," he said, referring to the group of finance ministers and central bank governors from 20 major economies. The concept of a global "super currency" tied to a basket of currencies has been periodically discussed by world leaders as well as endorsed by 2001 Nobel Memorial Prize-winner Joseph Stiglitz. A super currency could also be tied to a single currency, but the interconnectedness of world financial markets and concerns about the volatility that can occur as a result of the system being tied to one currency have made this idea less popular. Eswar Prasad, a trade-policy professor at Cornell University who also is a senior fellow at the Brookings Institution, said he disagrees that a super currency would protect the global financial system against breakdowns such as the 2008 downturn which plunged the world economy into its most dangerous crisis since the Great Depression of the 1930s. "Flexible exchange rates provide a useful shock absorption mechanism, especially for emerging market economies," Prasaid, a former chief of financial studies in the International Monetary Fund's research department, told China Daily on Tuesday. "More effective financial regulation and improved global governance, along with better fiscal and structural policies, would go much further than a single currency in enhancing global financial stability," he said. Arguments in favor of a global currency resurfaced during October's US budget impasse, which forced the government to shut down. "It is perhaps a good time for the befuddled world to start considering building a de-Americanized world," a Xinhua News Agency commentary said on Oct 14. The piece argued that creating a new international reserve currency to replace reliance on the greenback, would prevent government gridlock in Washington from affecting the rest of the world. In March 2009, China's central bank governor, Zhou Xiaochuan, called for the creation of a new "super-sovereign reserve currency" to replace the dollar. In a paper published on the People's Bank of China's website, Zhou said an international reserve currency "disconnected from individual nations" and "able to remain stable in the long run" would benefit the global financial system more than current reliance on the dollar. On that note, David Bloom, global head of FX research at HSBC, said US monetary policy change "will bring fluctuations for emerging countries' currencies and lead to financial instability". Chen Wenling, chief economist at the China Center for International Economic Exchanges, a government think-tank, said, "A supranational currency may be a new direction for development of the global financial system. It also requires different countries to cooperate in coordinating macroeconomic policies." Bloom and Chen both said China needs to play a more important role in global financial governance. But Bloom said it is difficult for international financial organizations to reach a consistent conclusion on how to improve the foreign exchange system. He said the renminbi is predicted to be stronger this year, even against an appreciating US dollar, and internationalization of China's currency will accelerate when the government decides to further open the capital market. Michal Krol, a researcher at the Brussels-based European Center for International Political Economy, said he disagrees that US dollar hegemony caused the global economic crisis. The emergence of other currencies, such as the euro, the yuan and the yen, created a situation where an adjustment mechanism needs to be in place, he said. "I don't think that the largest economies and their currencies are at this moment ready for the introduction of a supranational currency," Krol said. "Neither the EU nor China have financial markets and monetary systems yet that are sound, solid, predictable and well functioning to be the cornerstone for a global system. 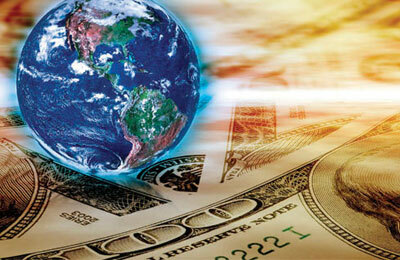 But, indeed, it is time to formulate the fundamentals for global monetary governance." Pierre Defraigne, executive director of the Madariaga College of Europe Foundation in Brussels, said of Lin's infrastructure proposal, "It is excellent, but the problem is how to implement these plans to link those countries that need such infrastructural construction and those with enough foreign reserves, by using an effective global mechanism." Li Xiaofei in Brussels contributed to this story.